I am primarily interested in statistics and machine learning. I am currently interested in enabling people to effectively use machine learning to solve problems. My work has touched a large number of areas including the analysis of sequence data (e.g., web logs), probabilistic models for relational data, auction design, scalable algorithms, computational biology, data mining, collaborative filtering, recommendation systems, text classification, bioinformatics, clustering and mixture models. I have a long standing interest in model selection, learning and using graphical models, and learning causal relationships from non-randomized studies. My research contributions have had an impact on a large number of systems/products during my tenure at Microsoft including Microsoft SQL Analysis Services (data mining), Microsoft AdCenter, Microsoft Bing, Microsoft Dynamics Live, Windows Tablet PC (handwriting recognition), Microsoft Commerce Server (recommender system). I am an affiliate professor at the University of Washington. 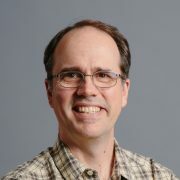 I am also an associate editor for the Journal of Machine Learning Research and for Statistics and Computing and was previously an associate editor for the Journal of Artificial Intelligence Research. I was the program chair for Uncertainty and Artificial Intelligence (UAI) in 2003 and the general chair for UAI in 2004.